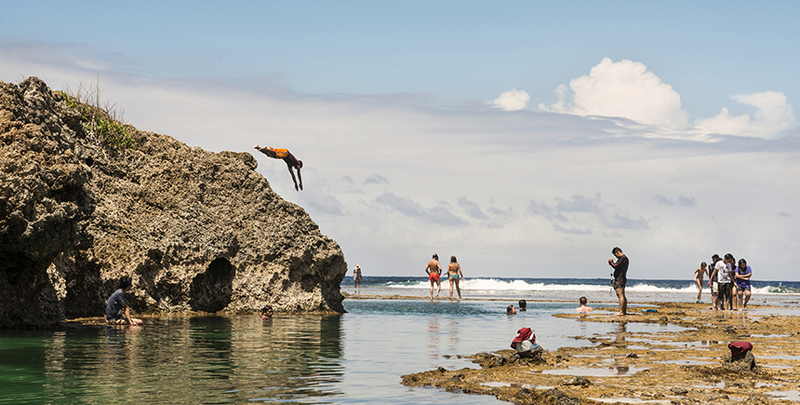 It’s an island whose fortunes have largely been defined by surfing — among the earliest tourists who made the long trek to Siargao before the airport in Sayak was built were surfers following rumors of perfect, curling barrels. 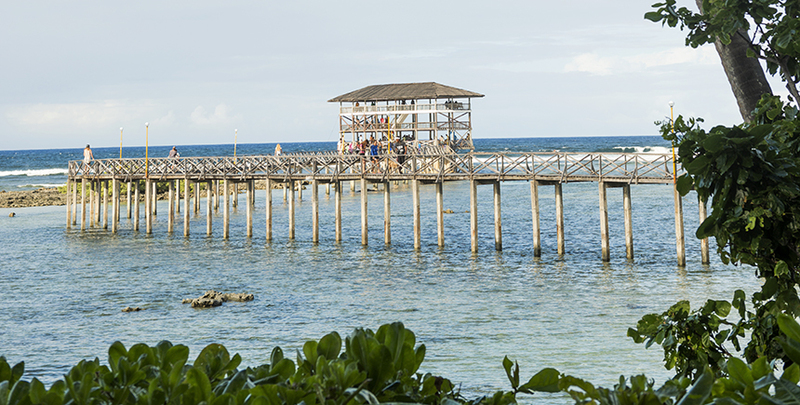 Today much of the tourism action is concentrated along Siargao’s south-eastern coast where you’ll find its most famous wave, Cloud 9, as well as Jacking Horse, a smaller wave that on this off-season trip is crowded with beginner surfers and their instructors. In recent years the teardrop-shaped island has branched out — there’s swimming and diving (GoPro on selfie sticks entirely optional) into the crystal-clear tidal pools of Magpupungko; kayaking or standup paddleboarding along the Malinao mangroves’ serpentine waterways; big-game fishing in the municipality of Del Carmen, west of the island; and boating and island-hopping. “Watch out for sea urchins,” our boatman tells us before promptly stepping on one, the broken black spikes cutting neatly through his rubber flip-flops and toes. I’m horrified, but he shrugs off the sting with a wild-eyed grin, telling me that he’s used to it, that pain is all in the mind. I tell myself that a day out in Daku Island, just across the way, is possibly worth a minor injury — eating a delicious seafood lunch prepared at one of the village households and served at a rental beach hut, sipping coconut juice straight from its thick husky shell, frolicking in rolling waves that break on the shore — but I give my companions a once-over anyway, wondering which of them might secretly harbor the heroism to pee on a sea-urchin wound. We carry on towards the boat without another word, anxiously clutching our market stash — eggplant, saba bananas, calamansi and chilli, grill-ready slinky octopus, juicy slices of black marlin and a whole watermelon for dessert. The first time I visited General Luna, nicknamed GL, was in the late 1980s, back when locals knew exactly who wasn’t from around town. Leaning out of second-floor windows or sitting hunched on doorways, they would hold us in a steady and piercing gaze as we walked the length of a dusty road past the elementary school and the church towards the beach. Today that route is paved with concrete and peppered with commercial establishments — including a pizza place called Aventino’s and a laundromat — and ends in a busy fish-and-produce market, a jetty and a boardwalk currently under construction. Almost three decades ago, it was a scene out of a western, without the tumbleweeds, and we’d soldier on, acutely aware that townsfolk were trying to figure out where we were from, and what we could possibly be doing such a long way from Dapa, Siargao’s main port town. The little kids were friendlier and followed us in small packs, elbowing each other for turns to throw questions: “Uma’y imo ngayan?”(“What’s your name?”), “Haman ’kaw pasingud?” (“Where are you going?”) and “Tan-awa ini!” (“Look at this!”), gleefully holding up some kind of gelatinous loot from the deep. 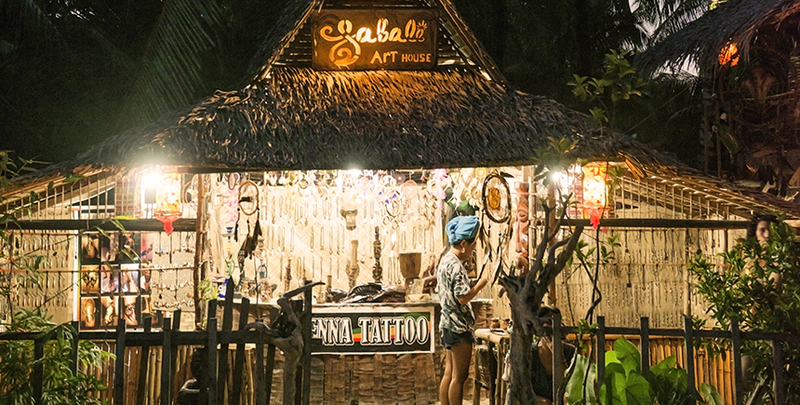 Years later, with a much bigger population and significantly changed complexion, the island is home to a village of relative newcomers from around the world, including other places in the Philippines. My own sister Jof moved to the island last year and instantly felt at home. Five years ago he found an abandoned property and turned it into a charming and airy home, preserving most of the features of the original house, like the veranda where there’s now an inviting dining area. 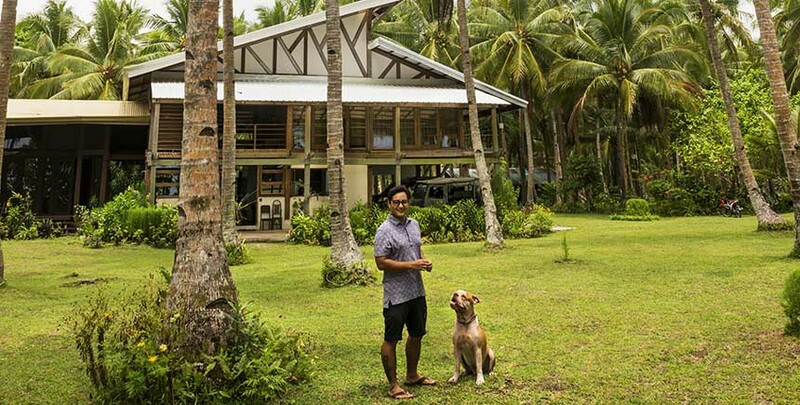 This is sometimes where his partner Sanne Sevig, who moved to Siargao from Sweden around the same time he did, works with members of her environmental initiative, Nature Kids. “We collect pieces of plastic trash on the beach, clean them, cut them up and make stuffing for throw pillows,” she says, handing me a fluffed-up pillow. It feels soft, as though stuffed with down feathers. She likes to refer to their neighbourhood as “the jungle”, but by this island’s standards, their neck of the woods, with wild weeds growing on the sides of unpaved, muddy roads, is a prime location. The happy village vibe, although not without its small-town syndrome, is especially notable in Stephanie’s house. On this slow yet steadily busy Saturday morning, she’s chatting with a house guest, Bassam Younes, who’s originally from Lebanon but moved to Australia before going on a 33-years-and-counting wander of the world. He’s organizing a beachside meditation session for the following day, while two students from the school that Stephanie runs plant themselves with casual familiarity on the porch, giggling over something else entirely. Calling budding tourist beach havens “the next Boracay” is an exasperating, if not downright unfair, habit that’s gone on too long. 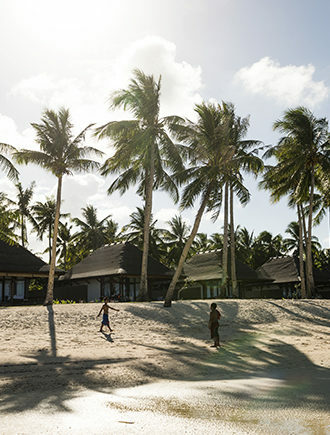 Those who have moved here understand that Siargao’s appeal is exactly that it isn’t Boracay, and posits itself as offering something else entirely: a slower pace, a more chilled-out vibe. It’s a much bigger island, there’s far more space — and its handful of nightspots are well spread out. That’s including the double-duty spaces that serve as basketball courts by day and discos by night, decked out with a string of flashing lights and a couple of speakers blasting at full volume. Siargao is no longer the sleepy island it was two decades ago and infrastructure has caught up, too: there’s the highway, the concrete road running the length of GL to Cloud 9, and soon a convention center (albeit one that looks rather out of place) will guarantee a steady stream of visitors, this time on business. Siargao for non-surfers, the kind of tourism that’s less dependent on seasonal swells, is coming into its own. “We get a fairly good crowd almost all year round now,” says Susan Brandstetter as she rings up my order for a long black at Cafe Loka (Tourism Rd, General Luna), a semi-outdoor coffee shop and snack bar right on the Jacking Horse trail that she and a partner opened just a few months ago. Susan and her husband Gerry Degan, who helps organize the annual local and international surf competitions, own the six-cottage Sagana Resort (General Luna; www.cloud9surf.com) and have lived part of every year in Siargao — they spend the three months of the wet season back in their native Sydney — for the last 21 years. They’re among the few people who’ve witnessed this side of paradise morph from a kind of niche haven to a destination with broader appeal. 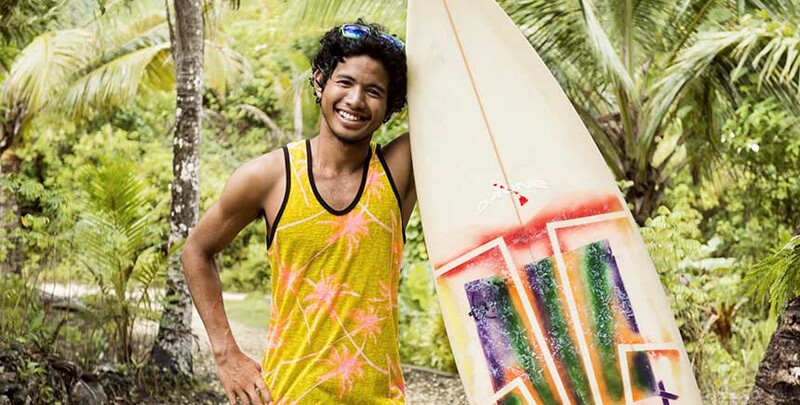 Now the island has its homegrown superstars, like the charming Manette Alcala, a diminutive surfer whose entire family has been steeped in the sport. 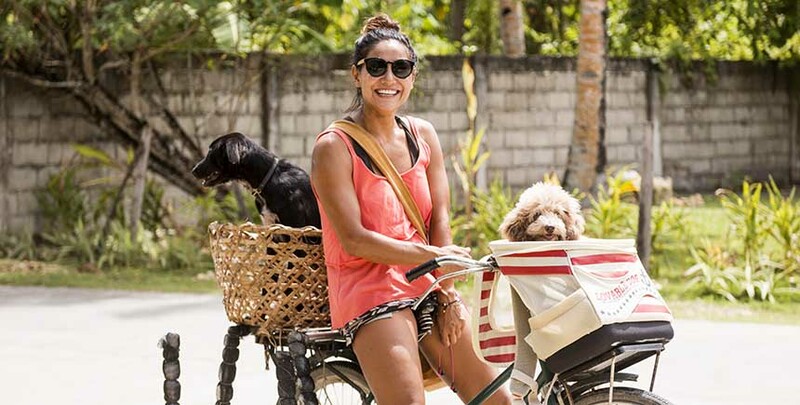 Her brother, Piso, is a champ who competed in Bali with fellow Siargao star John Mark Tokong. Meanwhile Manette’s son, Kai Kai, is making waves of his own. Proud locals like to say that the barely 3ft-tall wunderkind learned how to surf before he could even swim. For avowed cityfolk like me, the mark of a livable town is often the standard of coffee. If a steady supply of quality beans somehow makes it somewhere, it means the networks of access are in place and trade routes are well established. “You mean genuine espresso?” asks Fabio. He points to Lunares Café (General Luna), run by a fellow Italian named Gabriele and his partner Sheila, along GL’s main highway with the serviceable name of Tourism Road. I head out for breakfast with Jof, who greets everyone we bump into. 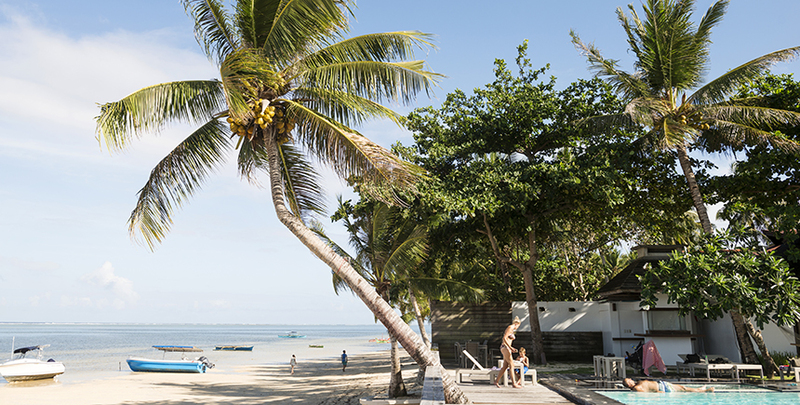 In Siargao, the sun rises just after five and 8am carries the buzz of midday. I order an americano, take a sip and think: Man, I could live here. This article originally appeared in the June 2016 issue of Smile magazine.